This year marks the fourth annual Suwannee Hulaween music festival held in Live Oak, Florida. Each year the festival hosts a wide range of music for guests to engage with during 3-4 days of camping and recreation. 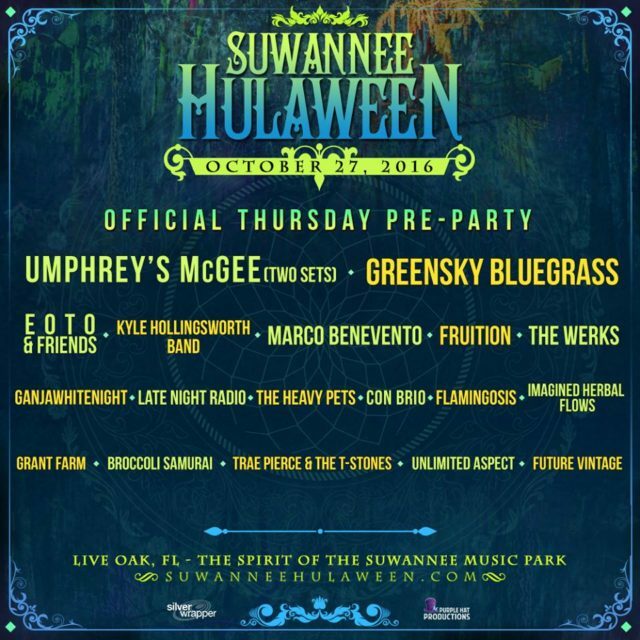 Recently, we published an in-depth article covering some of the data behind the 105 musical acts set to perform at Suwannee Hulaween. Early arrival is currently open for guests wanting to get setup before the entertainment hits on Thursday. When the music does hit the stage, we want to help inform attendees of three acts that have not performed at Hulaween in the past. An interesting element to Hulaween, is level of tradition that goes along with the festival. 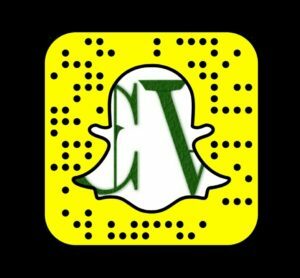 In an era of music festival being held almost every weekend during the summer months, it takes unique qualities that will drive people to music events. One of these qualities I see being very important, is the bands they book for entertainment. Some music festivals will continuously book new bands, and other events will partner with acts to create an annual gathering of their fans, mixed in with like-minded people. The String Cheese Incident has partnered with Electric Forest in late June/early July, as well as having built strong reputations at other events, including Hulaween. In contrast, this preview is to showcase some of the bands that have not made their mark in Live Oak, Florida. The Werks, a jam-centric quartet from central Ohio, will be performing during the Pre-Party on Thursday. One of the most intriguing parts to The Werks is their unwavering passion for live music. After the passing of Norman Dimitrouleas, his brother Dino, took a step back from performing with the band in 2016. With all of that taking place, The Werks still find the drive to continue touring on a national level. It takes real passion and commitment to continue on the road they travel on. Based out of Dayton and Columbus, Ohio. Set to rock the Spirit Lake Stage on Thursday, October 27 from 7:00-8:00 p.m.
Denis Jasarevic, also known as Gramatik, will be making his Hulaween debut in grand fashion. He will be going up against Umphrey’s McGee, but with UM having two sets on Thursday, I see The Patch stage area with Gramatik set to be at capacity. International touring artist that has performed in over a dozen countries worldwide. Gramatik will perform at three different music festivals during Halloween weekend, with Hulaween being the first of his three night run. LowTemp Records refers to low temperature. He is one of the few artists to have his own record label. Home base is at Portorož, Slovenia. Scheduled to plug in to The Patch stage on Friday, October 28 from 8:15-9:15 p.m.
Music recording artist known as Anderson .Paak will be joined by his band The Free Nationals for his upcoming Suwannee Hulaween performance. An intriguing quality to Paak is his recent involvement with Dr. Dre’s Compton album. He helped produced six tracks on the California-based project. Born and raised in Oxnard, California. Cracked the top ten list for hip-hop/R&B Billboard 200 with Malibu. Performs 11-12 p.m. on Friday, October 28 at The Amphitheater stage.